I found out about the September 12th premiere of A&E's program Born This Way Presents Deaf Out Loud a few weeks in advance. I looked it up and was pretty excited to watch. The promos made it look like a program that was going to showcase all of the ways to be deaf (or Deaf). It was difficult for us to lay eyes on the show. We unplugged from cable a while back and unlike that DirecTV commercial that plays every time I watch a YouTube video, we didn't replace it with any paid service. It took almost a week to figure out a way to access the show and when we did, it didn't have closed captions. I'm sure the version that aired on A&E had captions. I suppose we'll never know for sure. Perhaps it was foredoomed to fail already at that point, but it got worse. The documentary opens by showing a Deaf couple at a shooting range. This was meant, I think, to show the couple's enjoyment of an activity in a way that is different from the way hearing people would experience it. I just don't like seeing people shoot guns on TV. In post-Parkland America, gleefully shooting your Glock falls in the same category as smoking a joint. You can do it, in many states it's even legal, but it's not an endearing activity for a TV show. Or an Elon Musk podcast. This was the first in a series of stylistic choices that detract from the story. Our family is finally making great strides in learning ASL. Watching Deaf Out Loud was, I thought, an opportunity for us to see native signers. It's not like we hoped to learn new vocabulary from the show. It simply presented an opportunity to experience a bunch of different people signing. We usually are able to pick out words and phrases we know. It helps our receptive skills. Deaf Out Loud did this odd camera angle while most of the people were signing. It was a tilted, swoopy thing that cut the head out of the shot and zoomed in on the hands. It made the signs unintelligible, at least to my almost wholly untrained eye. A straight-on camera shot would have been much better. I felt like the program had an undercurrent of this opinion that the hands are the only thing that's important in ASL. Those facial expressions that your ASL instructor insists contribute so much to the meaning? Deaf Out Loud didn't need to show those. Finally, the documentary fell short in delivering on its main promise to show that there's no one right way to be Deaf/deaf. Two of the three families came off as very defensive of their choices because the documentary didn't provide enough context on the most contentious and controversial topics. One of the dads had cochlear implant surgery but reports discontinuing the use of his CI due to social stigma. Other documentary participants pointed out the shortcomings of cochlear implants, but this dad was presented as a man that ditched his device because people in the grocery store made comments about it. Surely there's more to it. Cochlear implants are not a miracle cure for everyone. Was there some element of that in his story? 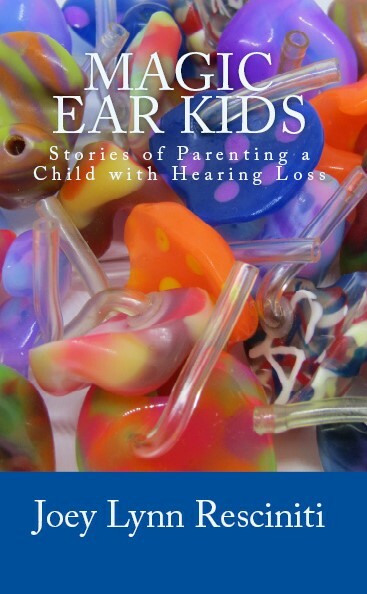 The same truncated storytelling took down the story of another Deaf Out Loud documentary dad. He reports turning off his voice in college to communicate exclusively in ASL. This came across with an air of I-used-to-speak-but-I-don't-anymore-nanana-boo-boo. Surely there's more to it. Other documentary participants made reference to the trauma of intense speech therapy for kids that aren't advancing with speech goals. This was an opportunity for the message to be delivered from a personal experience, but instead, it looked like an instance of extreme tribalism. My daughter turned from the TV about halfway through and announced, "I don't like this at all." Though my reaction wasn't that extreme, I was very disappointed. I identified with only one of the families. Their commitment to do whatever worked for each individual child was inspirational. The documentary showed their willingness to change course and give each of their six kids what they need to succeed. That should be the message of parenting whether a child is hearing, Deaf, or anything in between.